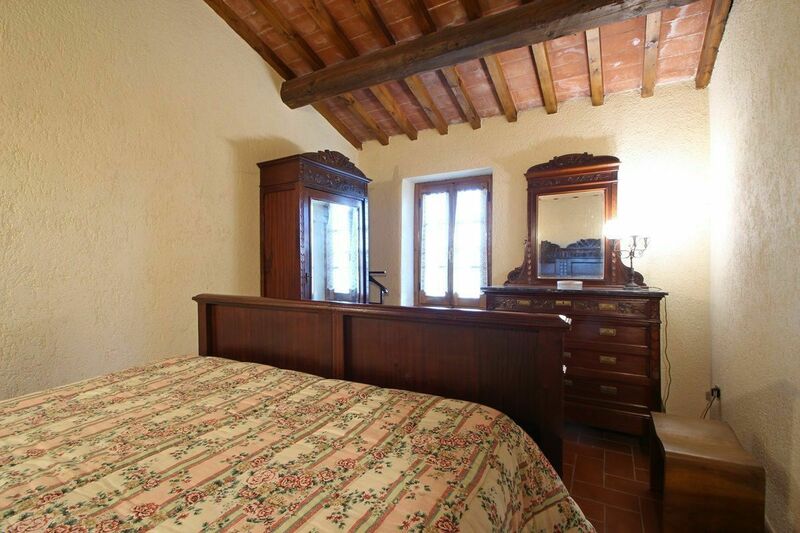 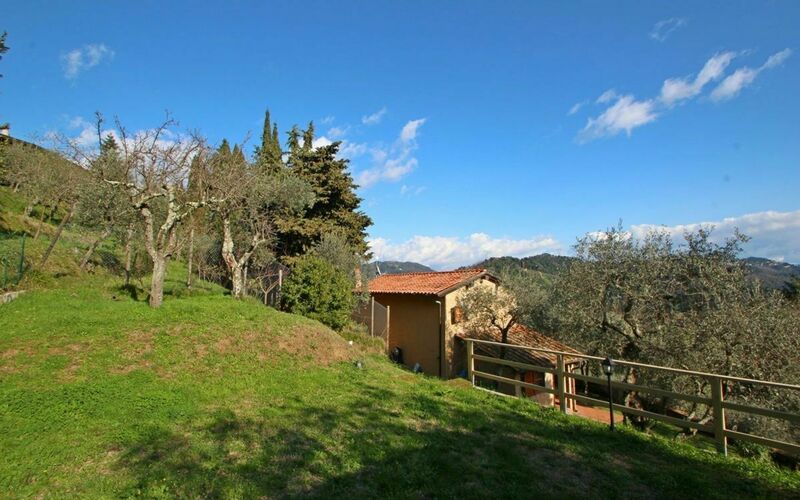 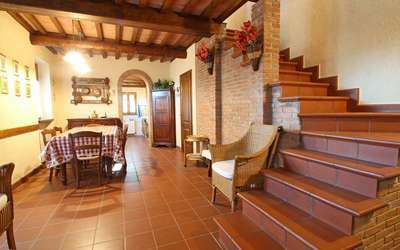 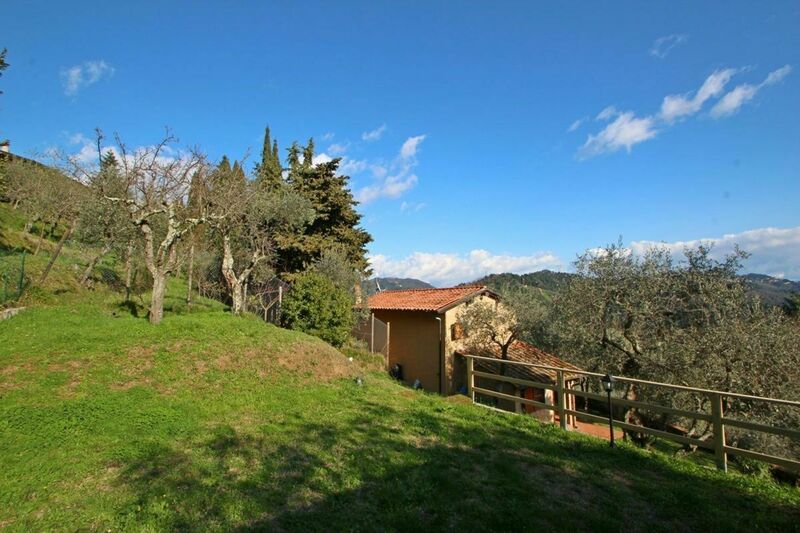 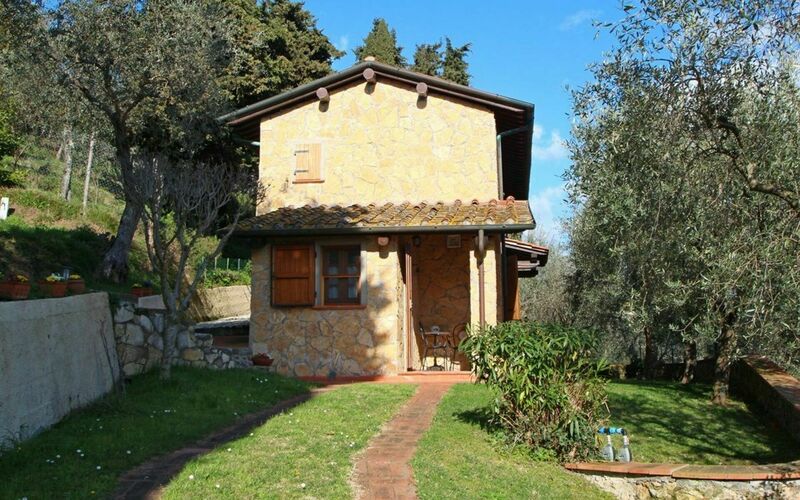 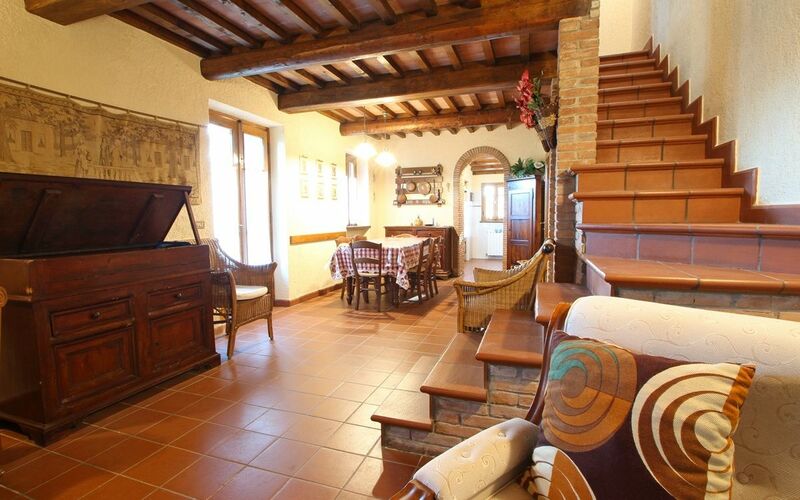 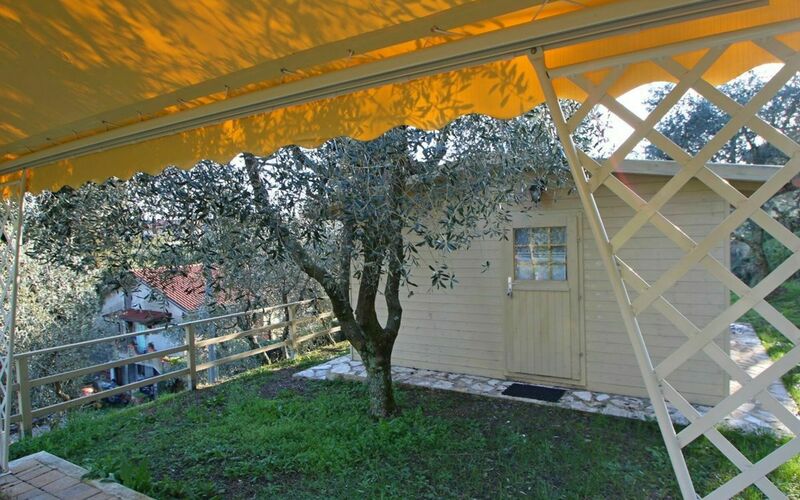 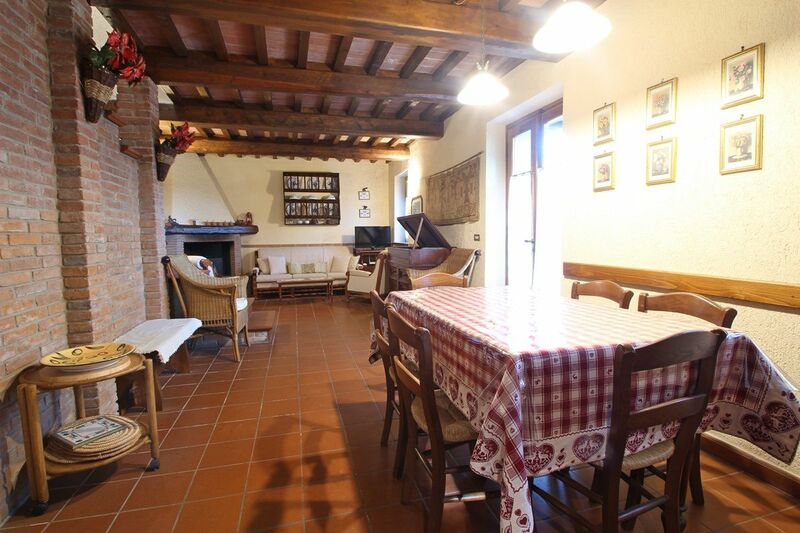 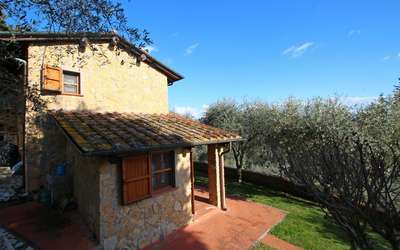 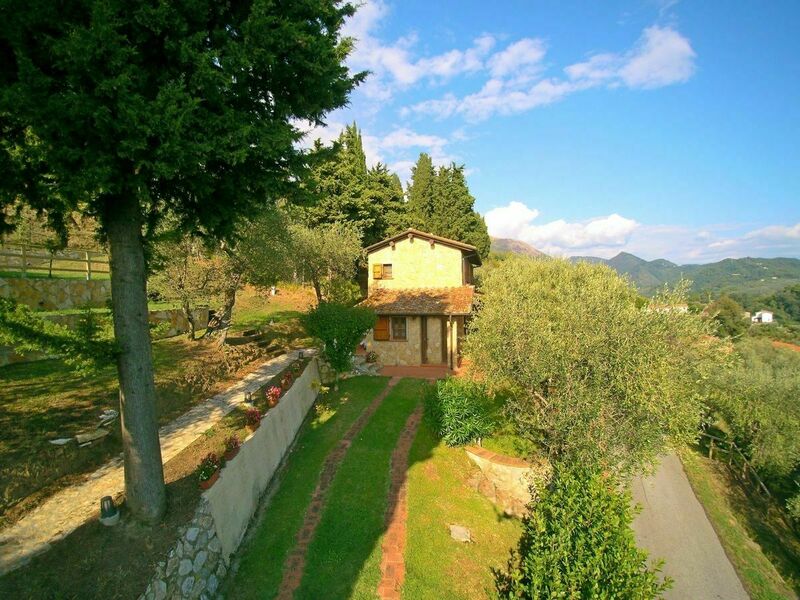 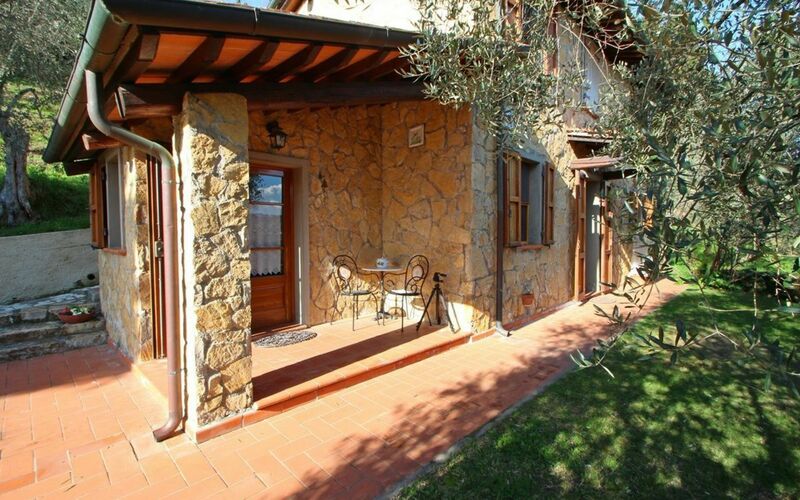 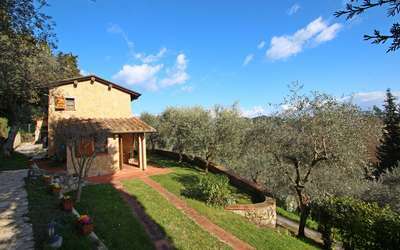 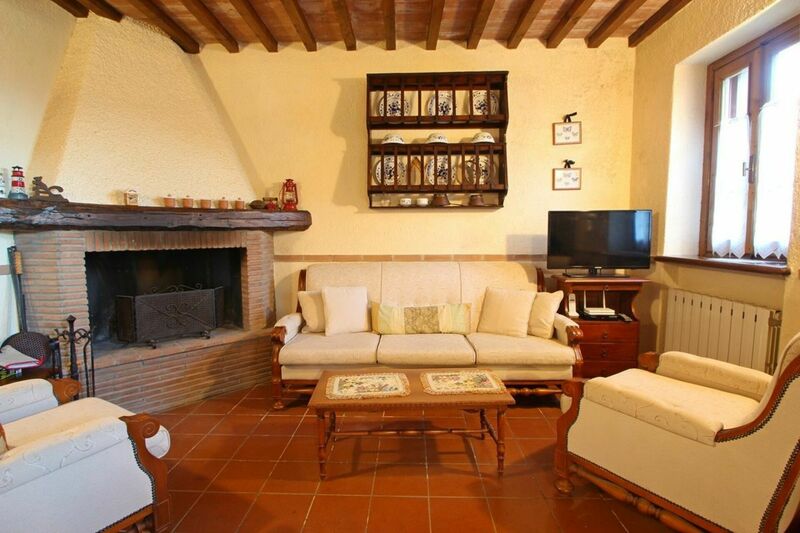 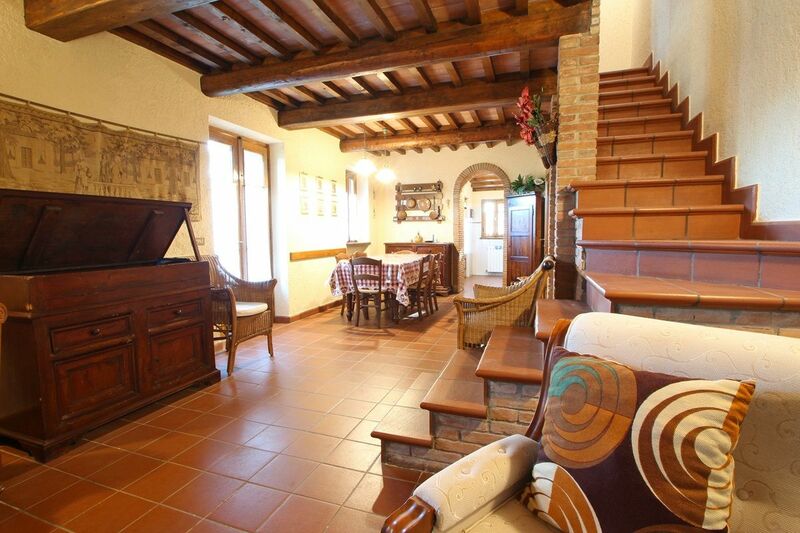 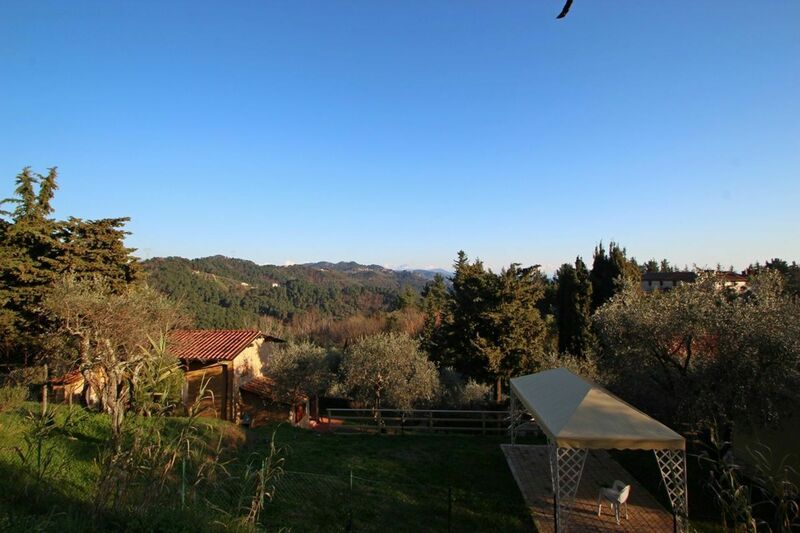 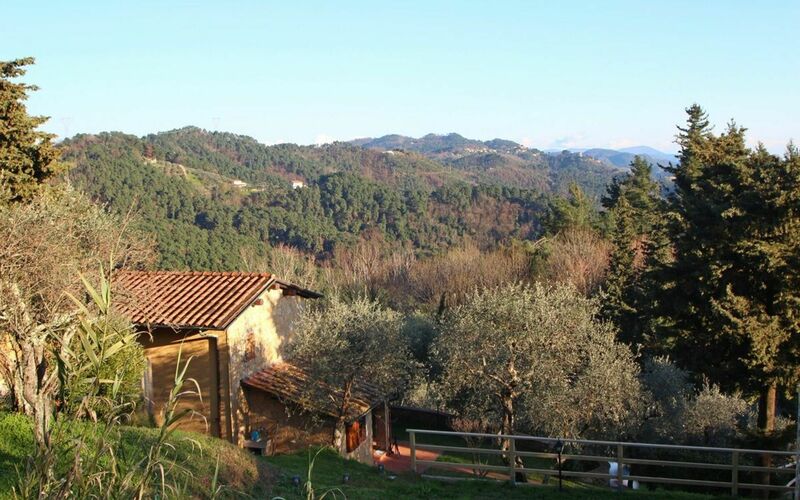 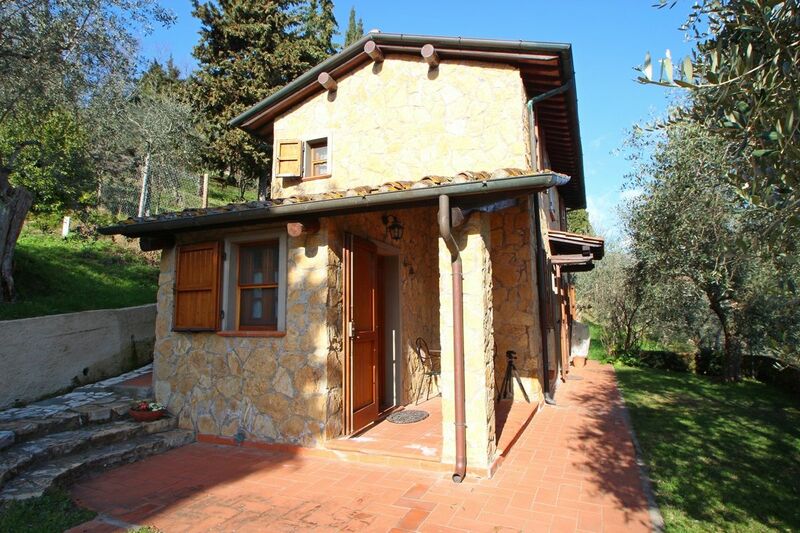 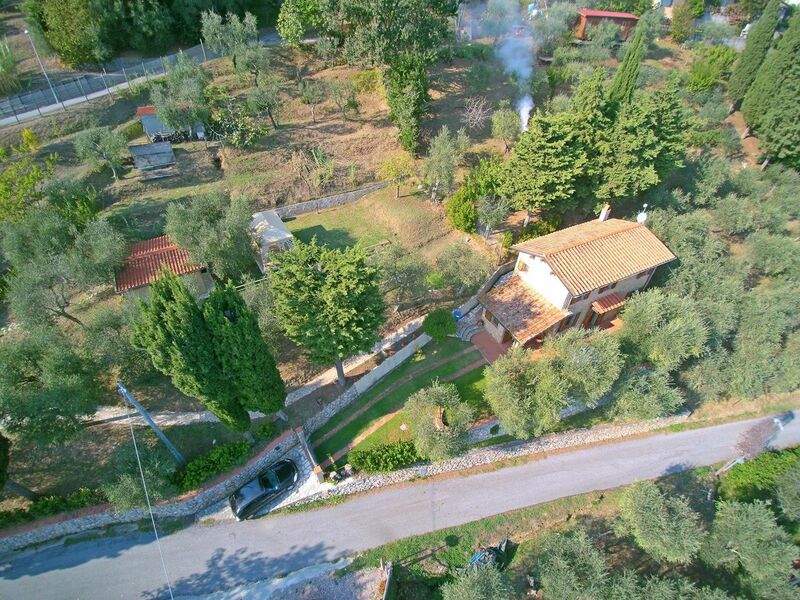 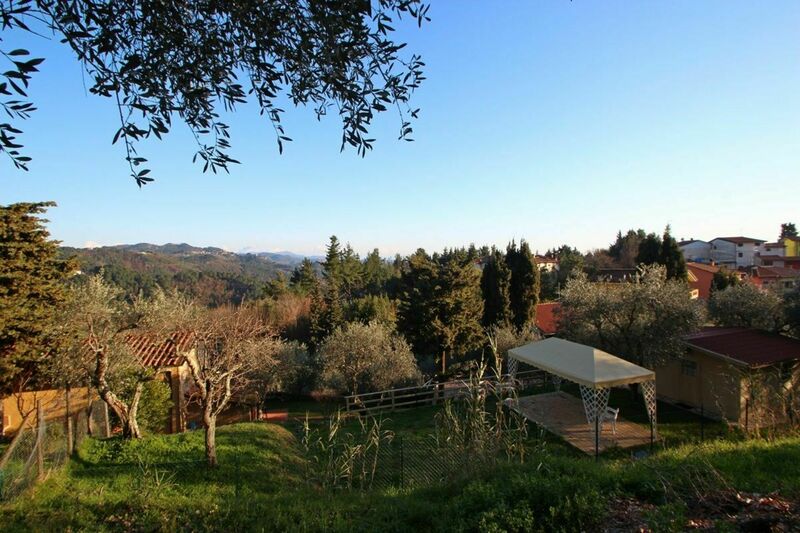 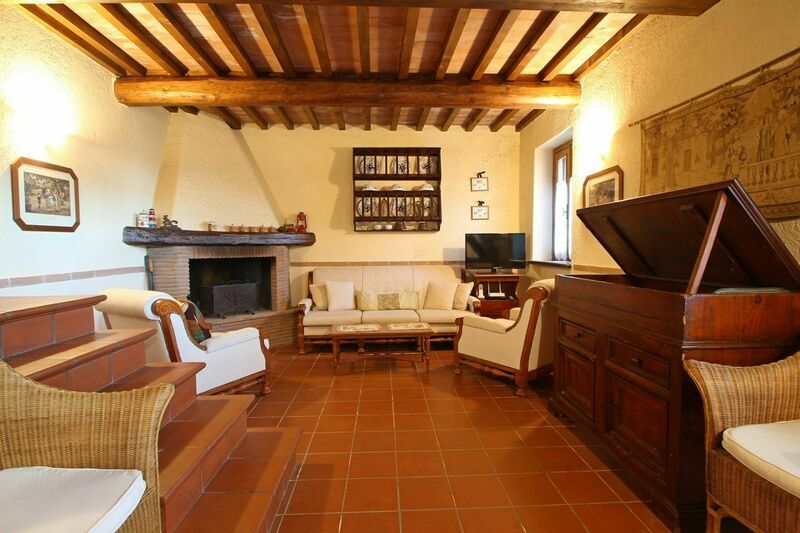 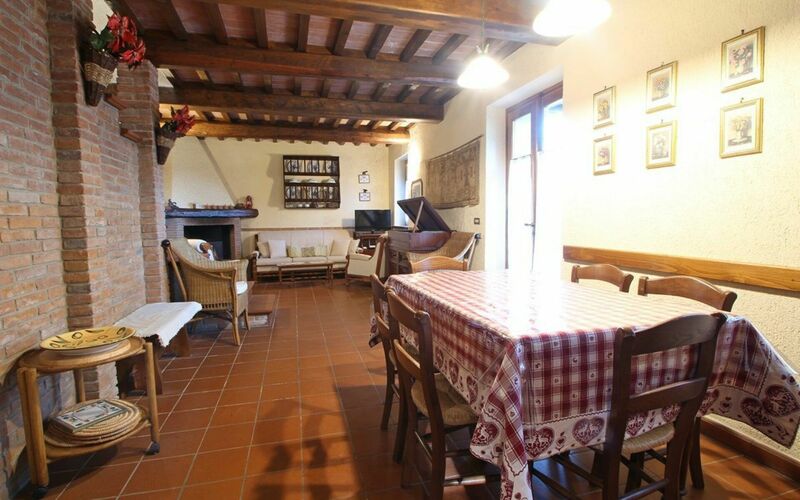 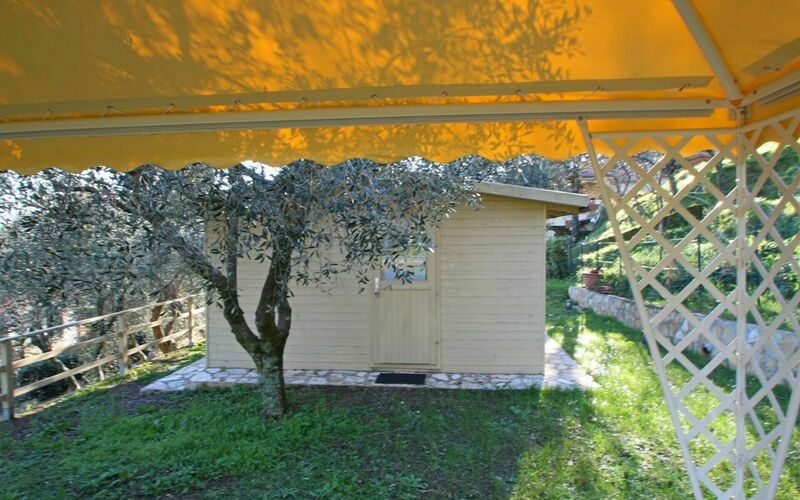 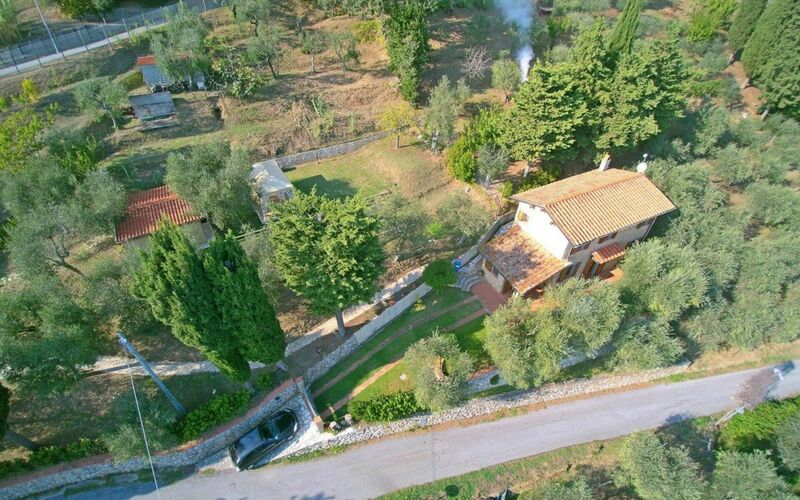 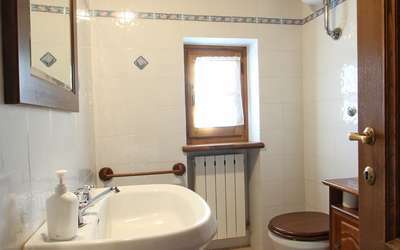 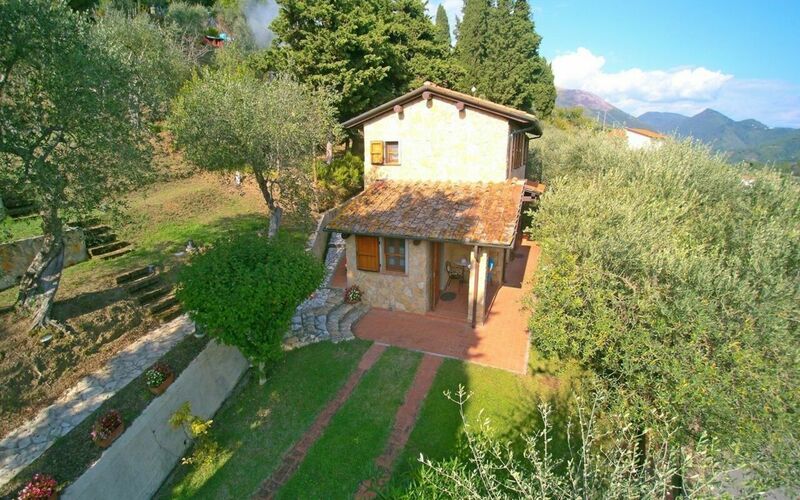 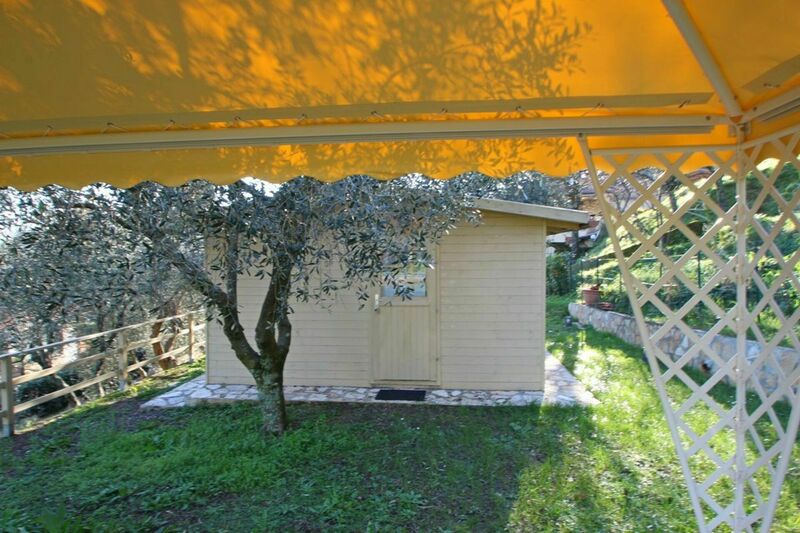 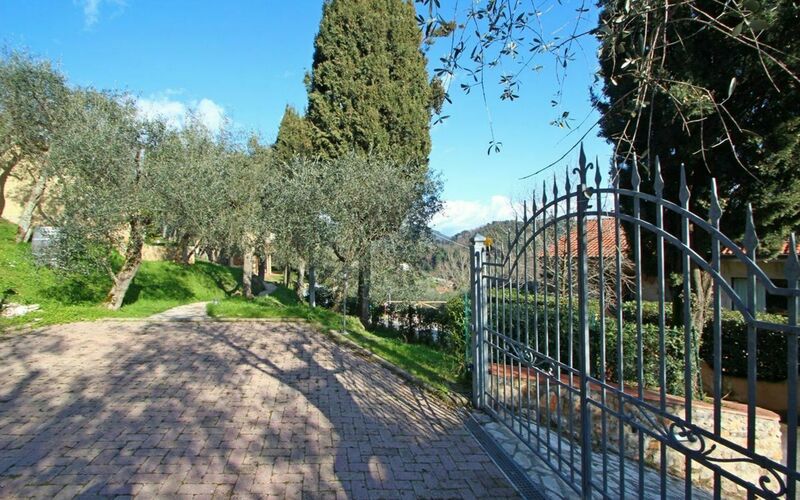 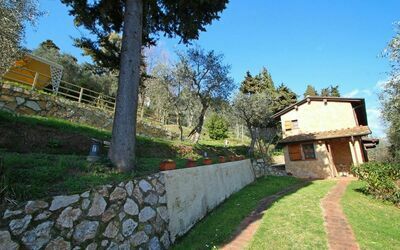 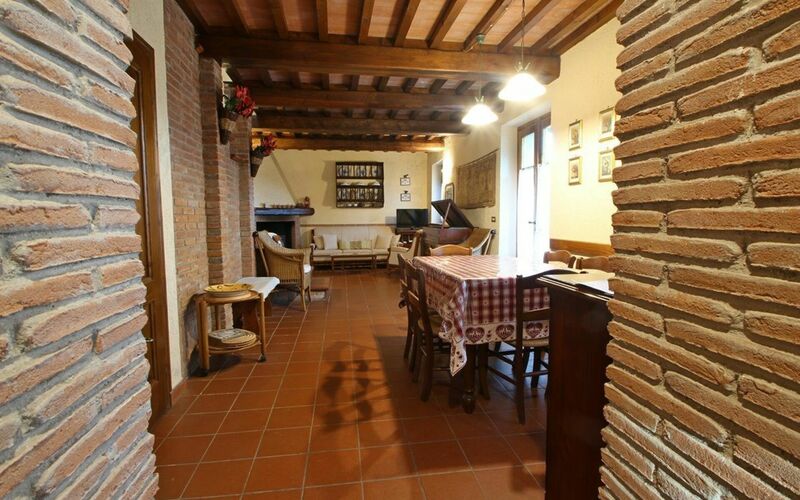 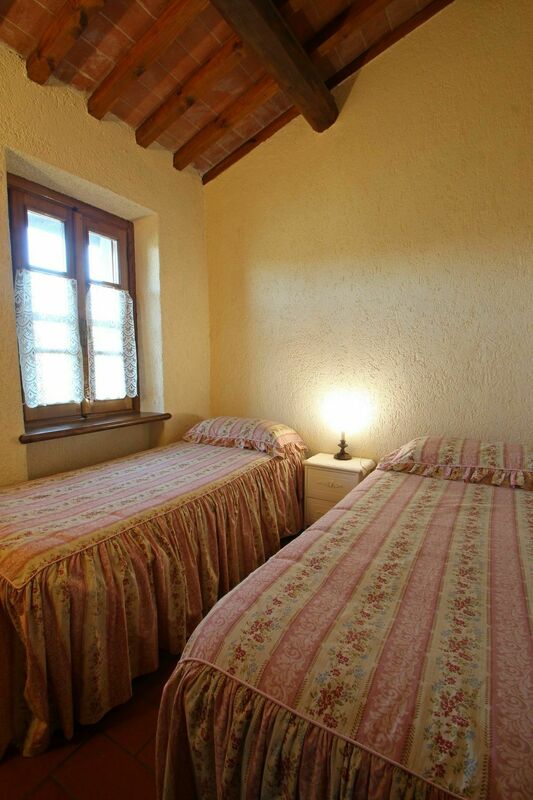 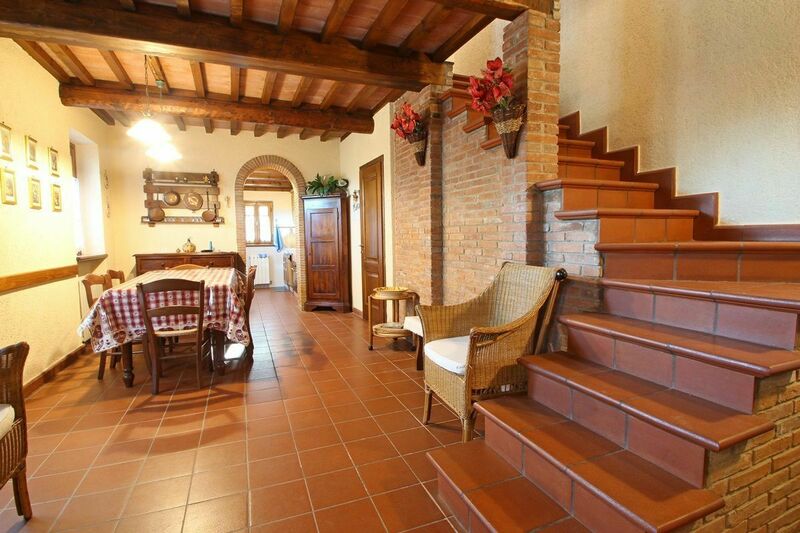 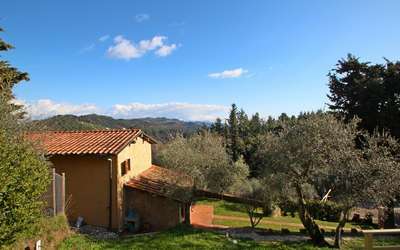 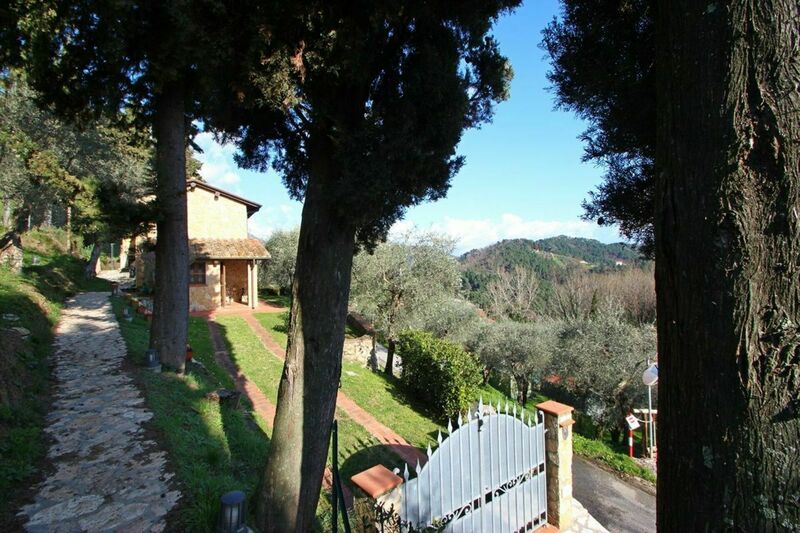 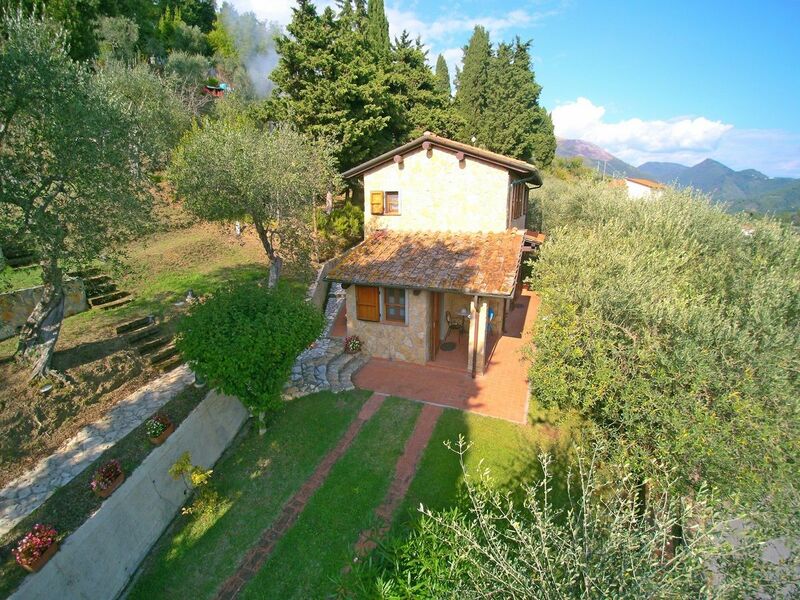 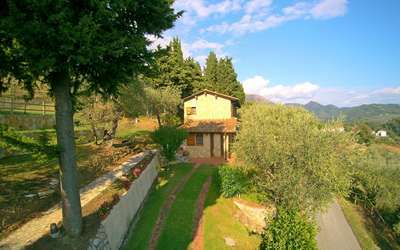 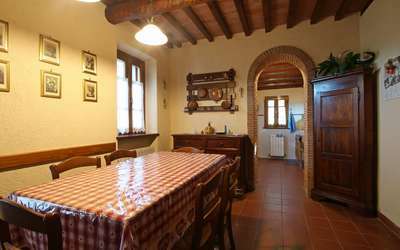 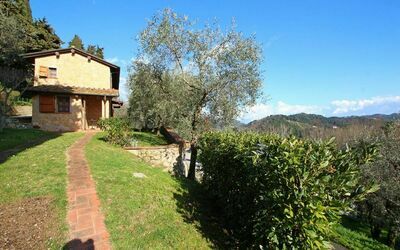 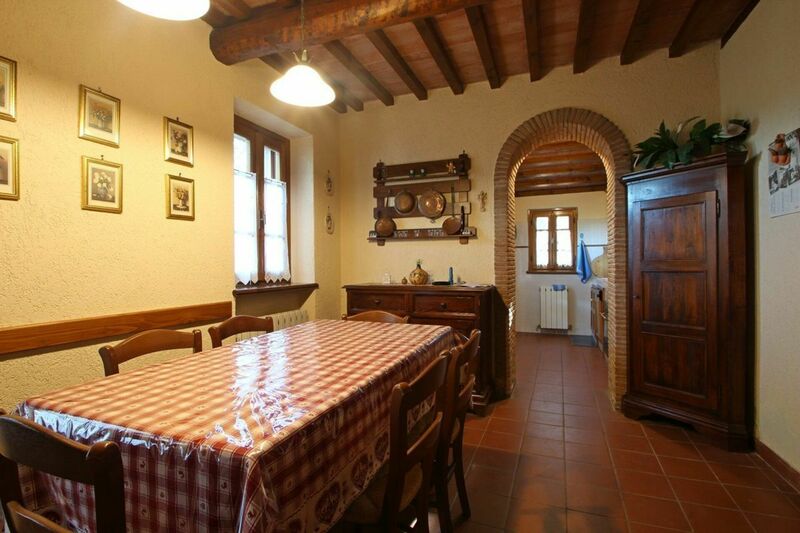 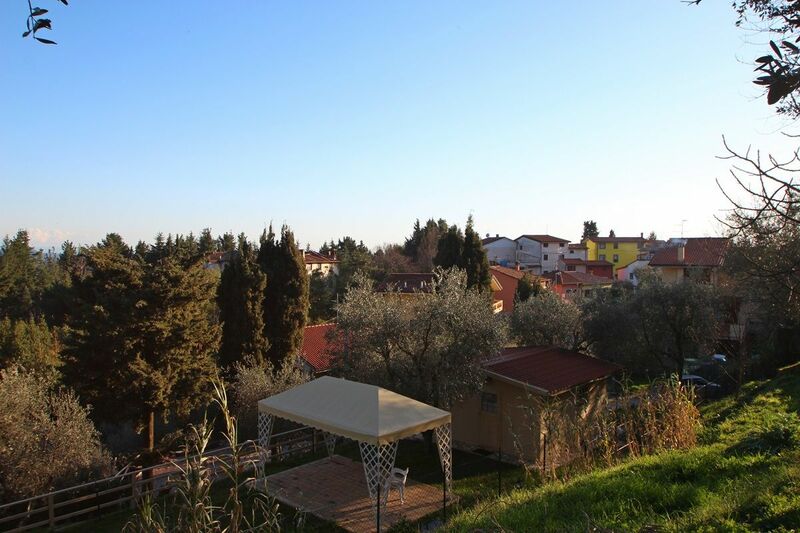 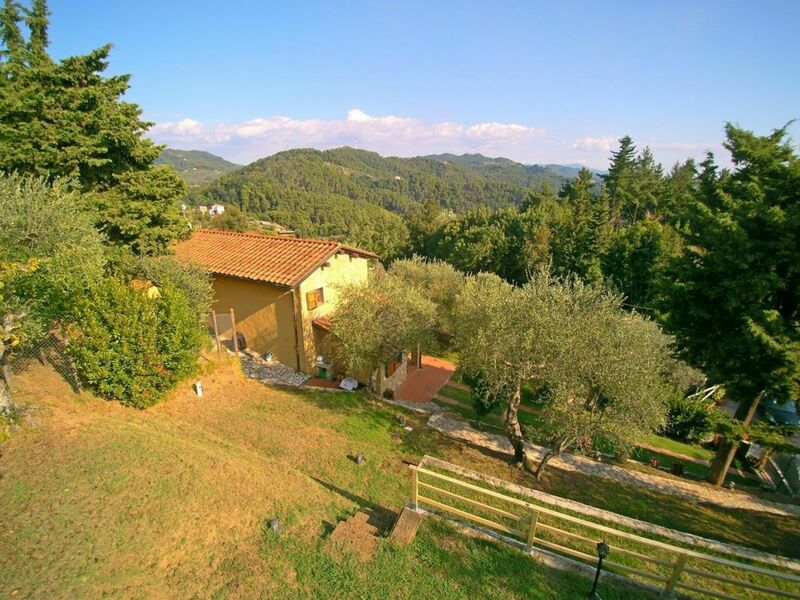 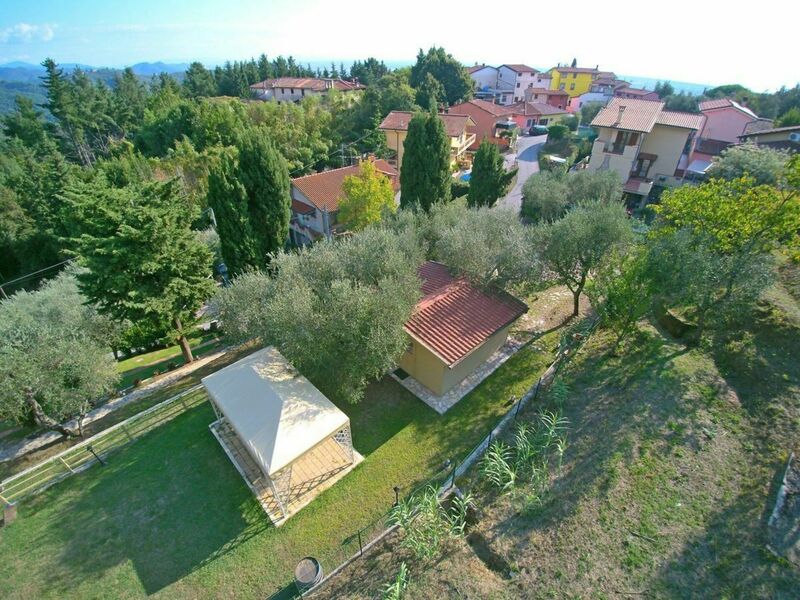 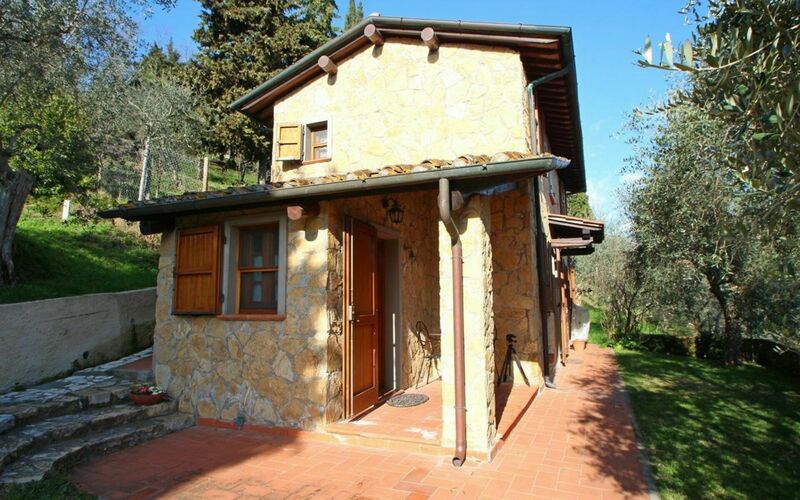 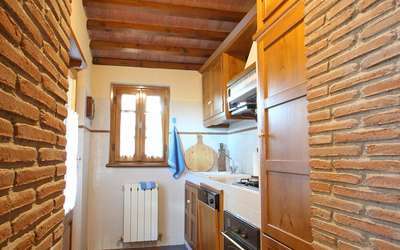 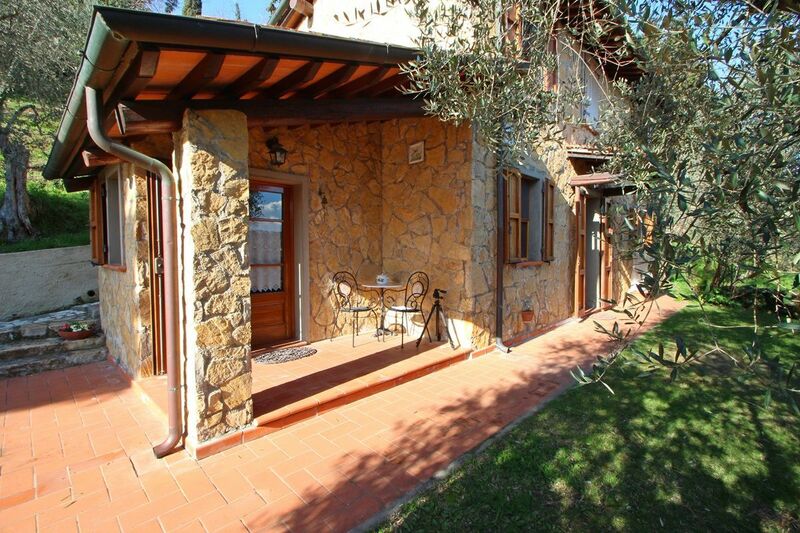 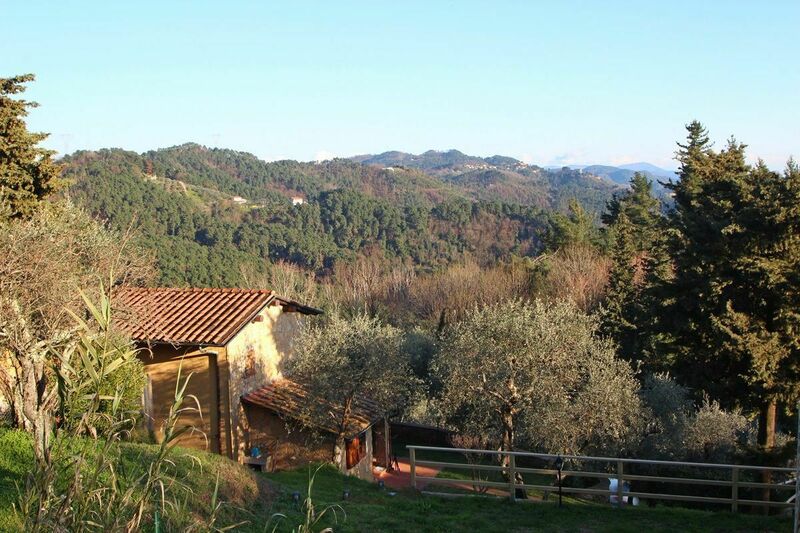 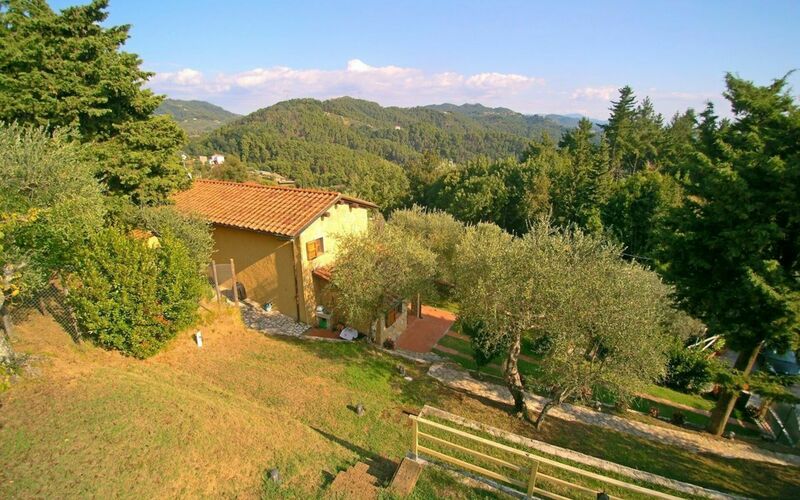 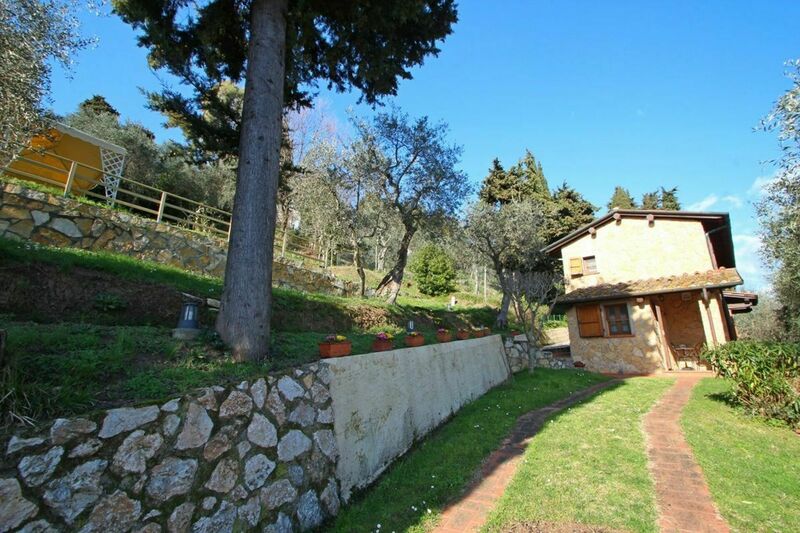 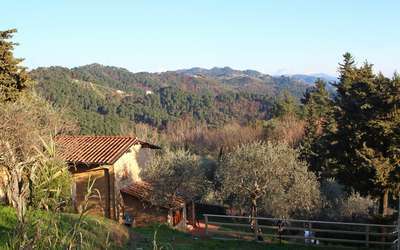 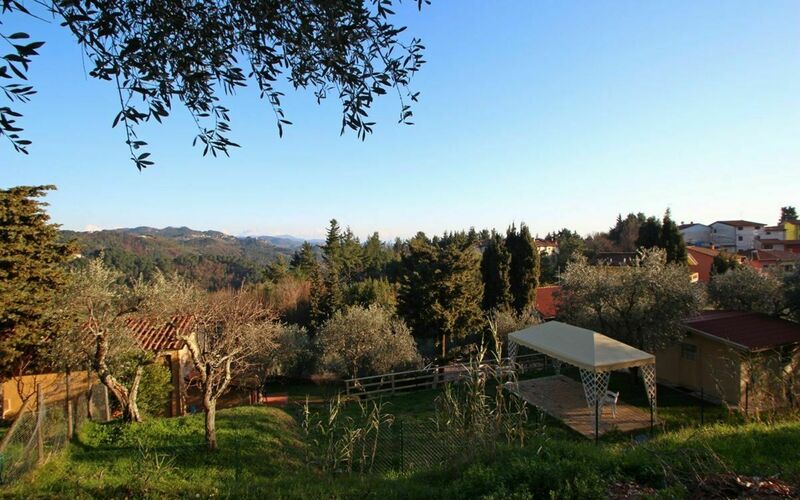 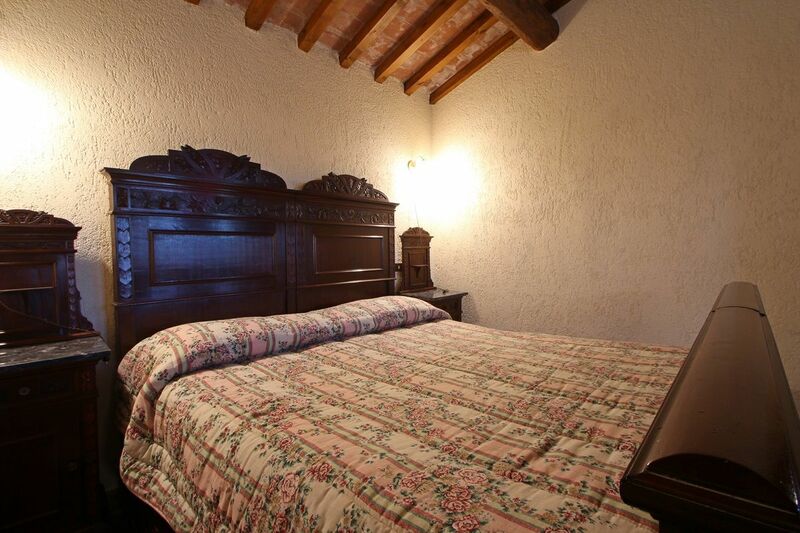 Superb holiday home on the hills of Versilia, Bargecchia, in the municipality of Massarosa near Lake Massaciuccoli and the sea. 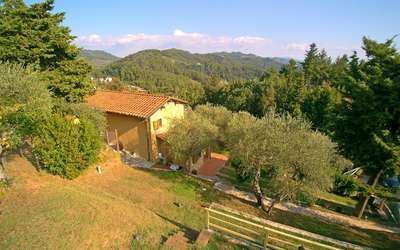 The house is located in a green and very quiet are where relaxation is guaranteed in its private garden of 1200sqm with views of the surrounding hills. 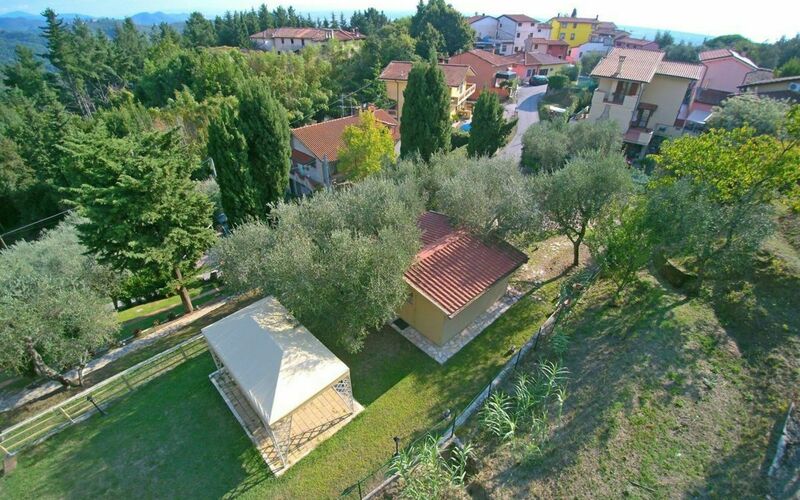 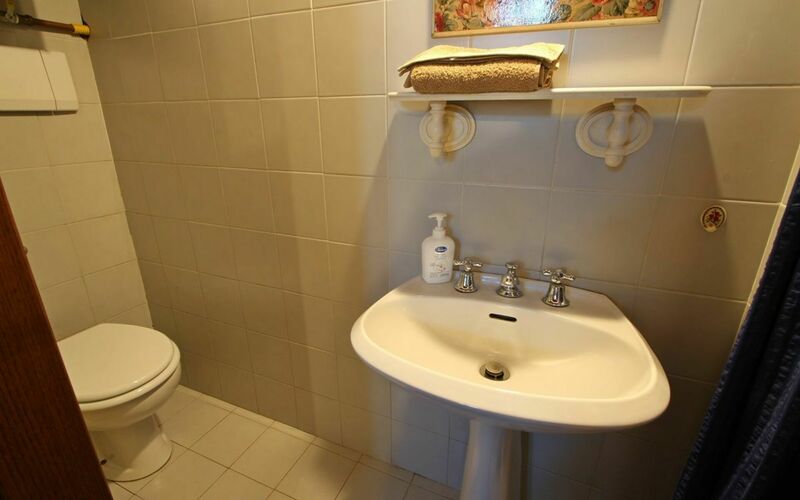 It is located less than 11km from the beaches of Viareggio and is therefore an ideal starting point for a beach holiday, but also to visit all of the most beautiful cities like Lucca, Pietrasanta, Pisa, Florence and also Siena. A few minutes walk from the house and you can enjoy a beautiful sea view. 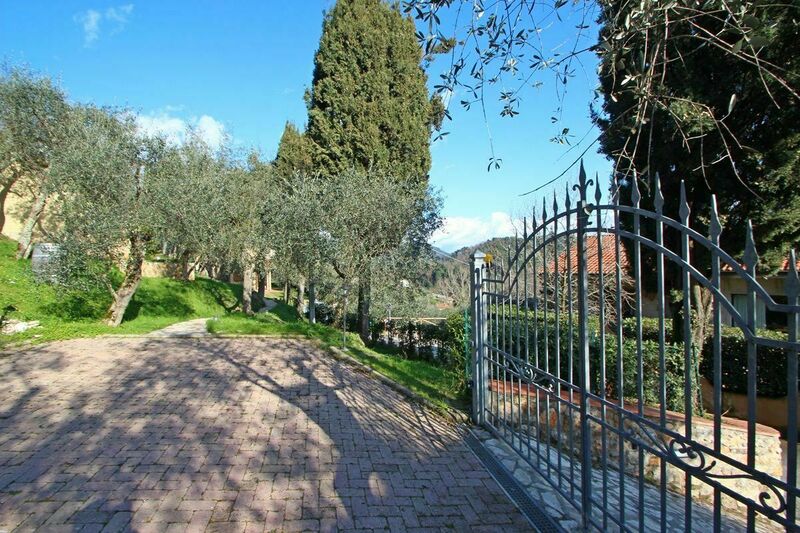 Access to the property is via an automatic gate and a pedestrian gate. Within 3 parking spaces. The whole garden is fenced and illuminated by lights that are activated by remote control. 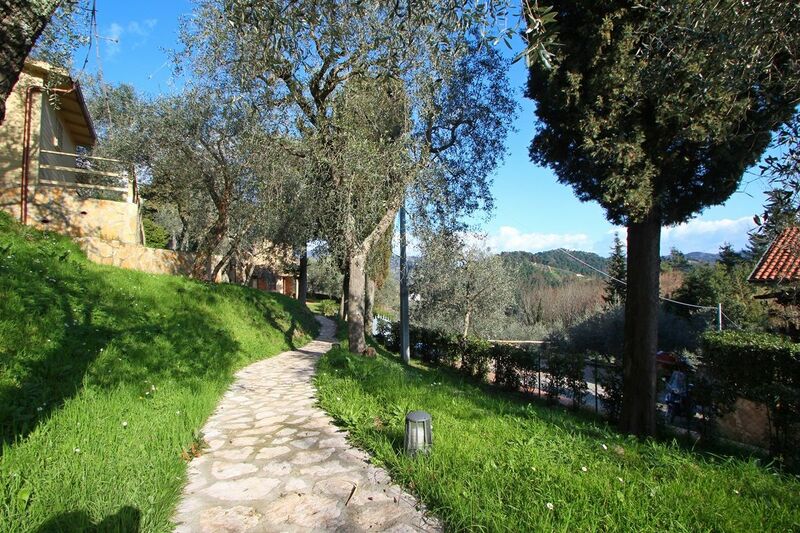 From the parking a small 30 meters path leads to the main house, typical rustic with stones. 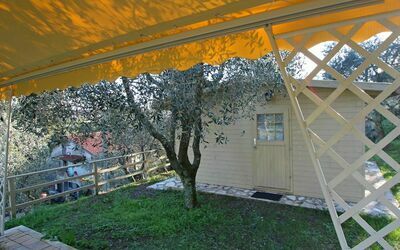 In front it has a space with table and chairs surrounded by two olive trees that give shade in summer. 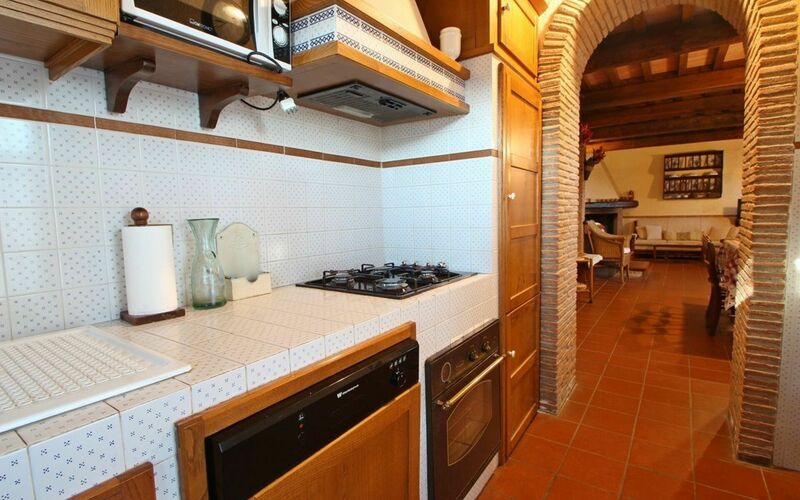 On the back instead there is a barbecue and a wood oven. 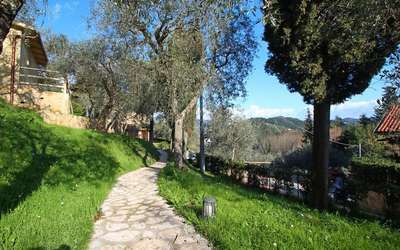 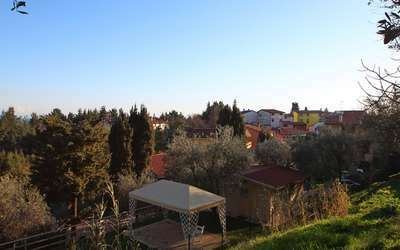 The large garden is laid out in terraces with olive trees, flowers and plants of various kinds. On the highest terrace is a small dependance with outdoor gazebo where you can have lunch and dinner outdoors. 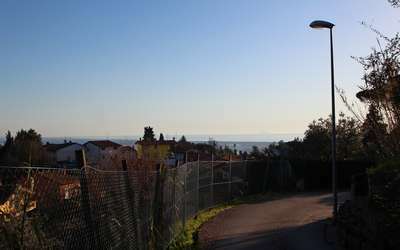 (Dependance not available in the 4 People version). Ground floor: living room with sitting area with sofa, armchairs, fireplace, satellite TV and wireless internet, a dining area with seating for 6 persons. Small bathroom with no shower. 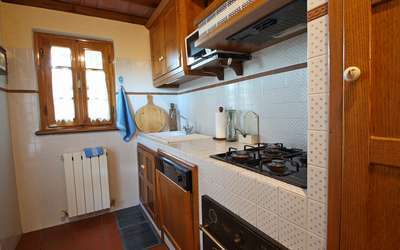 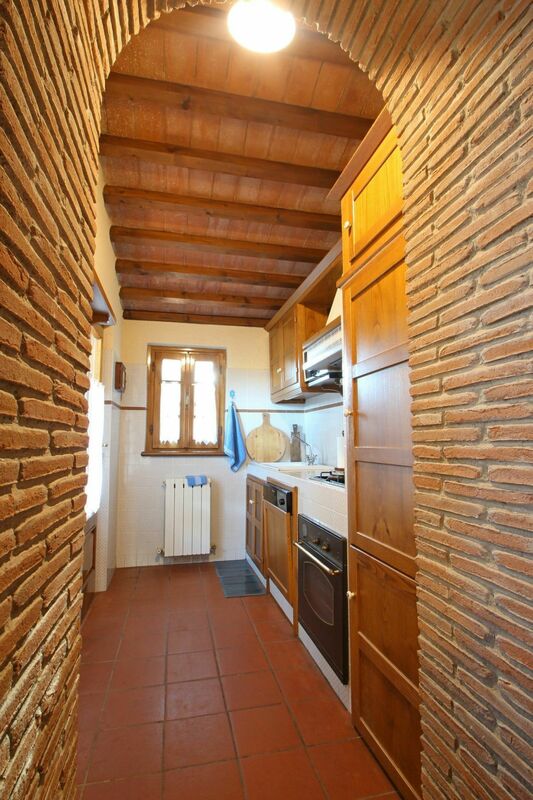 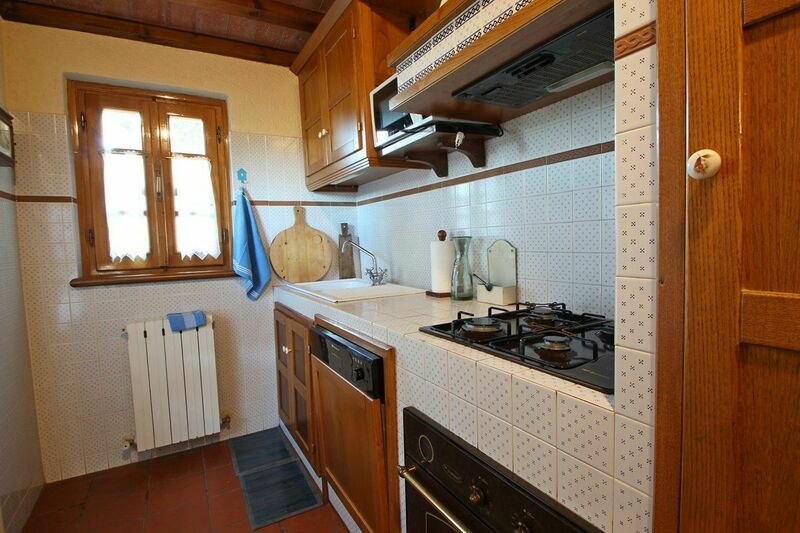 Kitchen with 4 cooking fires, dishwasher, oven, fridge/freezer, microwave, coffee machine and moka coffee maker. 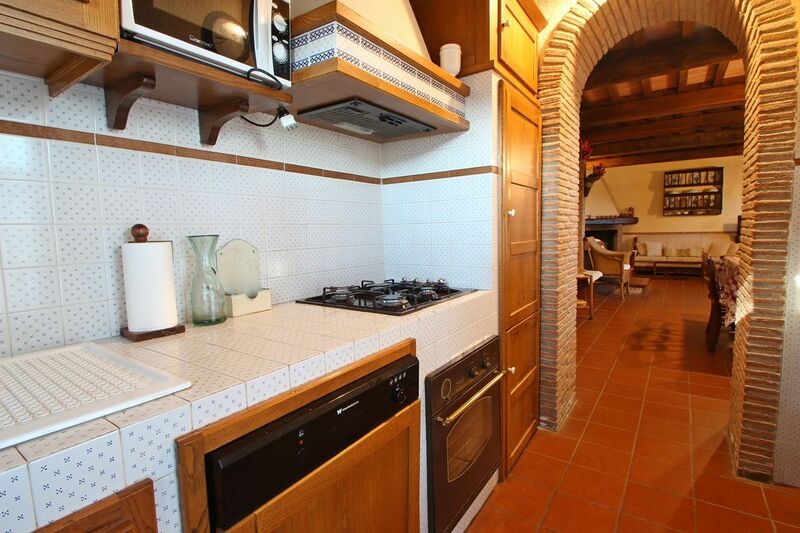 From the kitchen, a door leads to the outside area with tables. 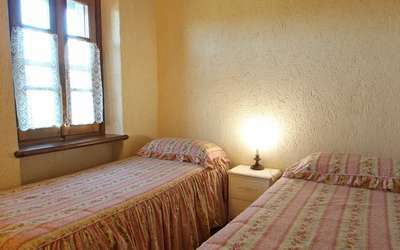 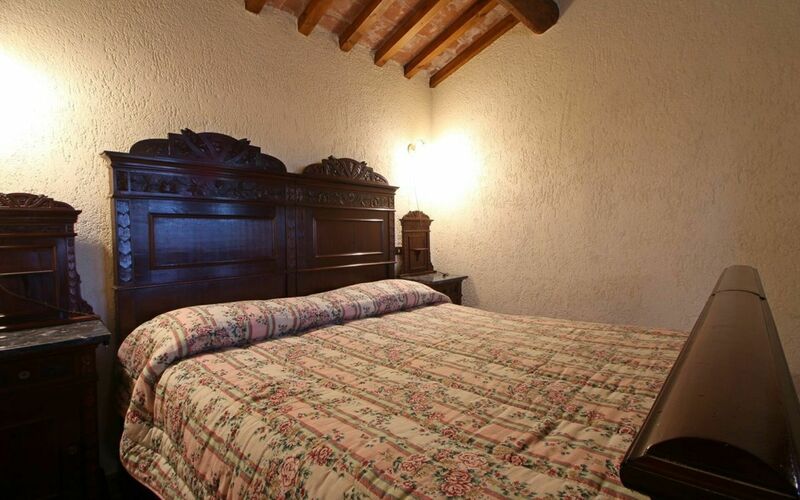 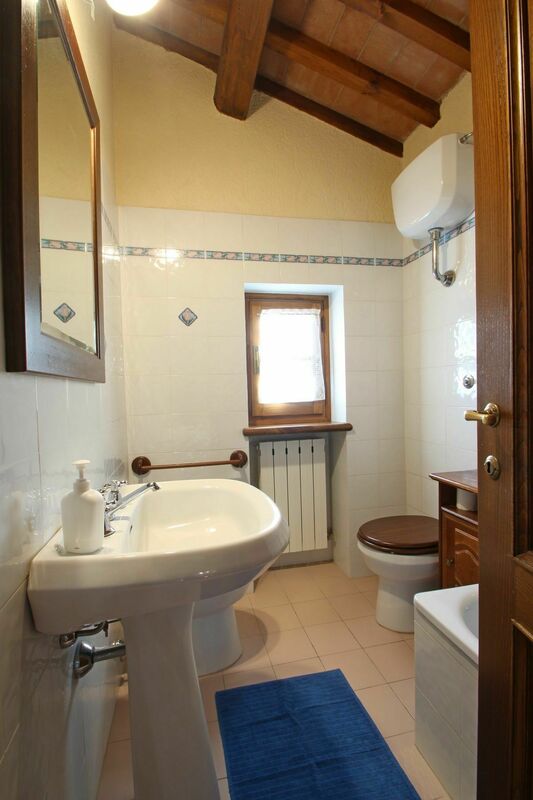 First floor: room with two single beds and window overlooking the hills, master bedroom with views of hills and a small bathroom with tub / shower. 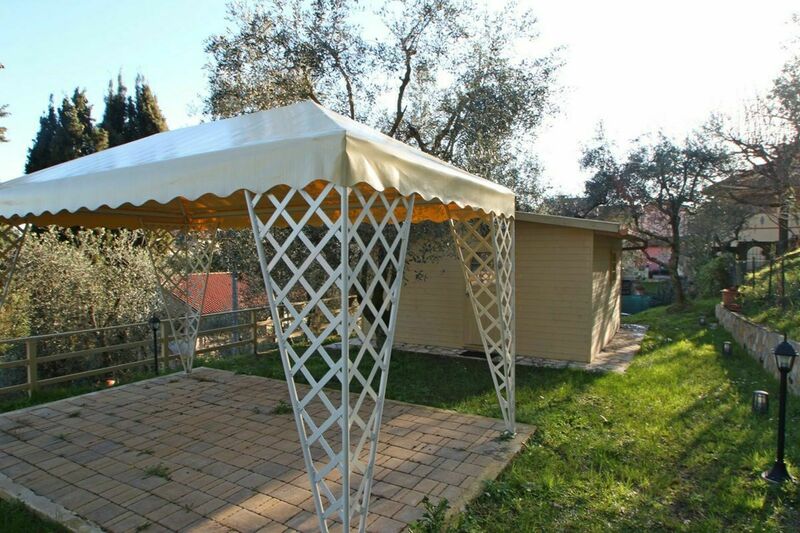 "In version 4 people the annex is not available and remains closed."